As Maine's 2nd District Goes, So Goes the Nation? LEWISTON, Maine — Every presidential year after Labor Day, Maine&apos;s 2nd District pops up on the national political radar as territory Republicans will put in play. It happened again last week, when a Boston Globe/Colby College poll showed GOP presidential nominee Donald Trump carrying the district by 10 points. Suddenly, national reporters were tweeting about a district with 657,000 people and one electoral vote. 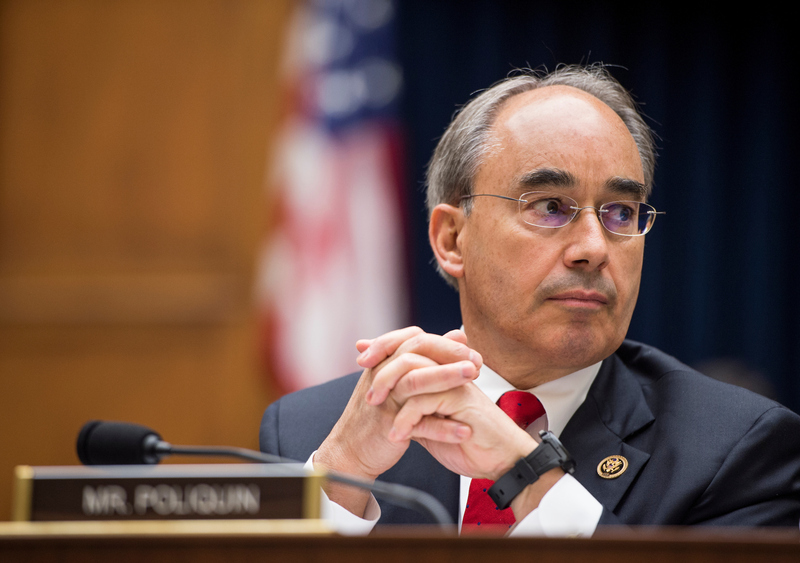 Vulnerable GOP Rep. Bruce Poliquin is facing a rematch here against Democrat Emily Cain — one of the most competitive House elections in the country. Maine is one of just two states that split its electoral votes by congressional district, and the Trump campaign believes that its rural, blue-collar 2nd District is ripe for the picking. Previous GOP nominees have failed to pick it off from the rest of the state, and even some Republicans doubt Trump&apos;s lead here is as big as it looks in the automated poll, conducted by SurveyUSA. As the election nears, "we will see Democrats coming home," said Lance Dutson, a Republican consultant in Maine. But operatives from both sides of the aisle believe this district — at the presidential and congressional level— will be a bellwether for how Republicans fare in Rust Belt states, where disaffected Democrats could be up for grabs. "By itself, it doesn’t buy or lose the election," said Matt Gagnon, CEO of the Maine Heritage Policy Center, a conservative think tank. "But if [Trump&apos;s] able to do it here, it’s an indication he can do well in a Pennsylvania or Michigan." Since the Boston Globe poll was released, the Trump campaign, which has seven paid staffers in the district, can&apos;t keep signs in stock. Trump strikes a chord in Lewiston, an old mill town where Gov. Paul LePage grew up on the streets. Lewiston, and its sister city Auburn, make up the largest population center of the district — and a longtime Democratic stronghold. But with mills shuttered and jobs sent overseas, some working class Democrats are starting to come over to the GOP. "They&apos;re used to all candidates who run for president talking about how great free trade its," Gagnon said. "Trump has been talking about the plight of these people." On the map, the Pine Tree State — including the 2nd District — looks blue. "A lot of people think we’re sort of &apos;Massachusetts North,&apos;" Gagnon said. "But when you ask them about taxes, spending, you get answers that are very conservative." Robert Langlas, 77, is a retired furniture retailer from Lewiston. "The family has always been Democrat," he said. But he&apos;s voted for John F. Kennedy, Ronald Reagan and John Kerry. He supports LePage. And this year, he&apos;s for Trump. “Because he’s a businessman, and I was a businessman,” he said. It&apos;s not just Trump&apos;s populism that resonates in the 2nd District. There&apos;s also an element of xenophobia, which the governor has given voice to. The district is 95 percent white. 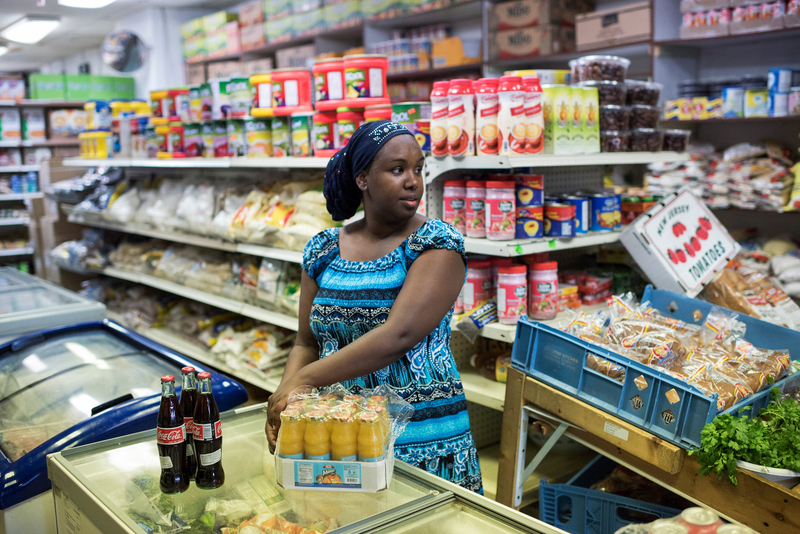 But an influx of immigrants, mostly from Africa, has stirred the pot in places like Lewiston, where Somali businesses now dominate the downtown business district. 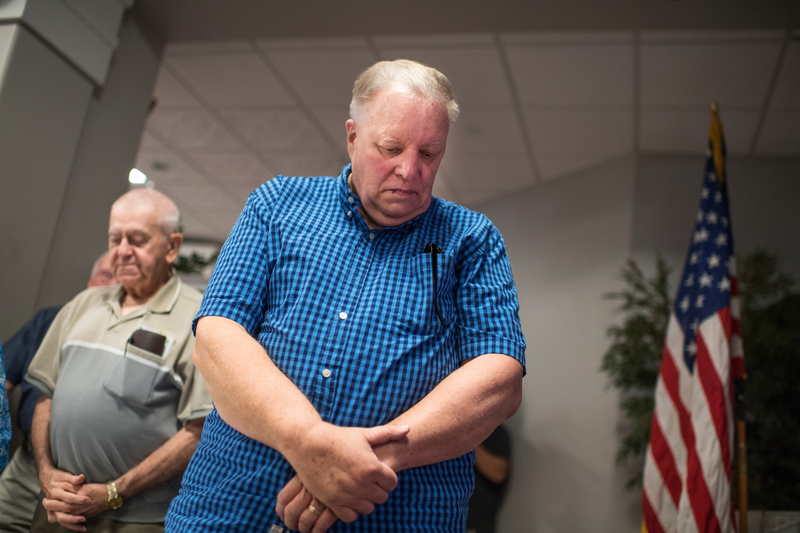 "I don’t have any problem with refugees," Lewiston Mayor Robert Macdonald, a Republican, said at a monthly luncheon at Lewiston&apos;s Franco American Heritage Center. 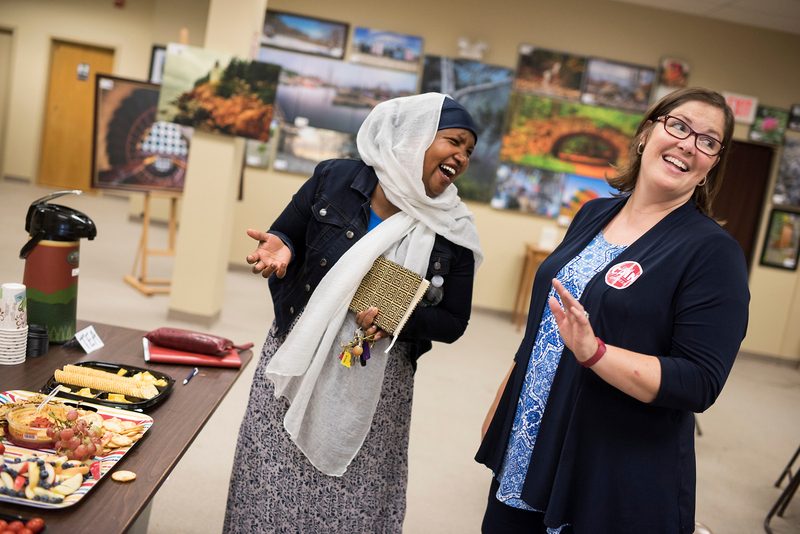 "But you know what, when you take asylum seekers and you throw them into a community like this — these people are living paycheck to paycheck," he said, bragging about the apartment buildings he&apos;s razed to keep refugees out of his community. So why would Trump do well here? "He speaks for us," Macdonald said. "He&apos;s conservative." LePage, whom many have called a mini-Trump, didn&apos;t do well in the Boston Globe poll. Fifty-four percent of respondents said they had "no confidence" in his ability to govern. Of course, LePage never won a majority of the vote in Maine. In both 2010 and 2014, a third-party candidate allowed him to win with a plurality. LePage&apos;s poll numbers are a rejection of "the kind of indignity politics that he and Trump have been playing," Dutson, the Maine Republican, said. Susan Collins, the state&apos;s popular moderate GOP senator, refuses to support Trump (or Hillary Clinton). And the fact that "Poliquin still won’t say his name in public" suggests Trump&apos;s numbers can&apos;t be all that great, said Democratic strategist Nick Roy, who worked for Cain in 2014. But neither presidential nominee is popular. While the National Republican Congressional Committee is trying to tie Cain to Clinton, Cain&apos;s first TV ad touts her work with LePage when she was in the legislature. Given Maine&apos;s independent streak, Roy expects Libertarian Gary Johnson do well there. Although it&apos;s possible LePage&apos;s election taught Democrats a lesson. "The electorate is a little more in tune with the potential disaster that voting third party can bring," Dutson said. Poliquin worked in the LePage administration. But in style and temperament, he couldn&apos;t be more different from the governor or Trump. He gets credit for connecting well one-on-one with voters. That&apos;s important in a ticket-splitting state like Maine. But when it comes to turnout, the national conversation in the weeks before Election Day is also incredibly important. How that conversation plays with working class Democrats in Lewiston should say a lot about who&apos;s celebrating on election night. "The old saying used to be, &apos;As Maine goes, so goes the nation,&apos;" Roy said. Now it&apos;s, "&apos;As goes the 2nd District, so goes the nation.&apos;"